As we continue to build and enhance our website we have incorporated our special events from our trip by developing new webpages and videos. 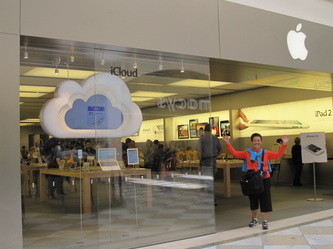 The trainers at the Hillsdale Mall Apple Store continue to give great advice. 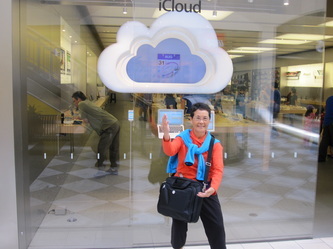 Our Family Album of Movies on YouTube as well as new pages on our website add more depth and excitement. All of these projects further my mission to incorporate technology to those who are interested in Tai Chi and our Travels. 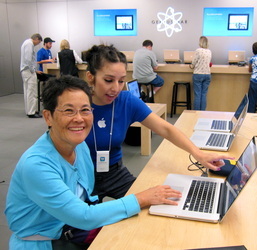 Today, 11-3-11, while at Personal Projects at Kahala Mall, someone tapped me on the shoulder as his group saw and recognized a photo of their Apple Store on my webpage. 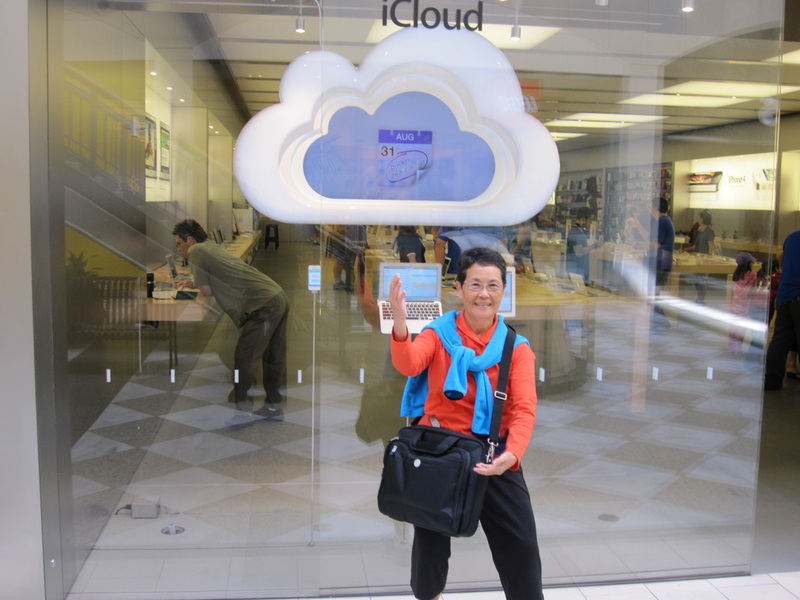 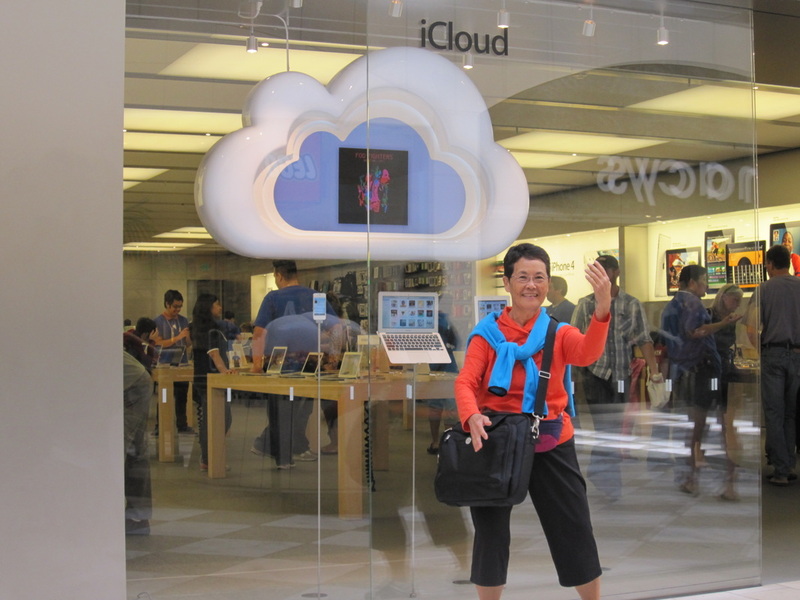 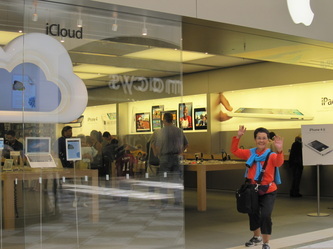 The photo was of me doing cloud hands in front their Hillsdale Apple Store, in San Mateo, California. 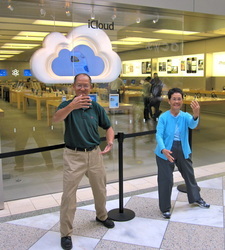 As it turned out, these men were here at Kahala Mall training to be Apple Store managers. 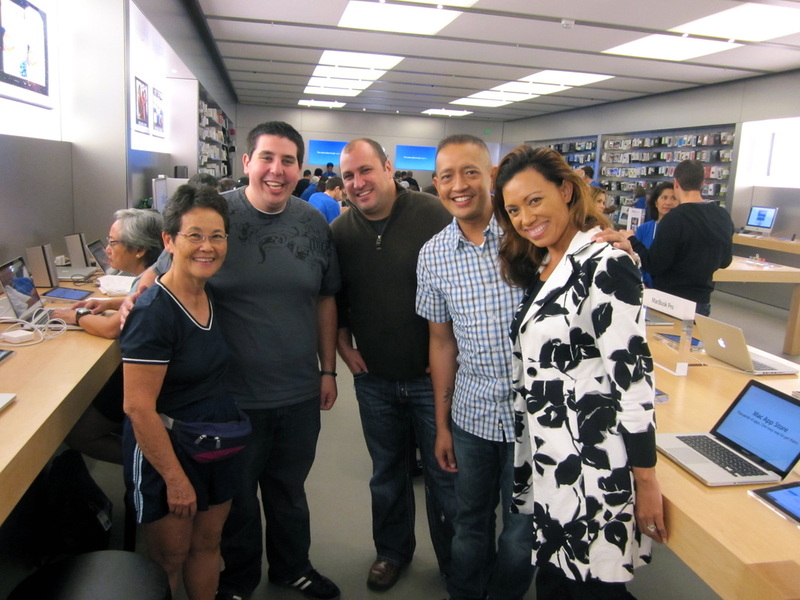 In the picture below on the far right, I'm standing with the Hillsdale trainers at Apple Store, Kahala Mall. 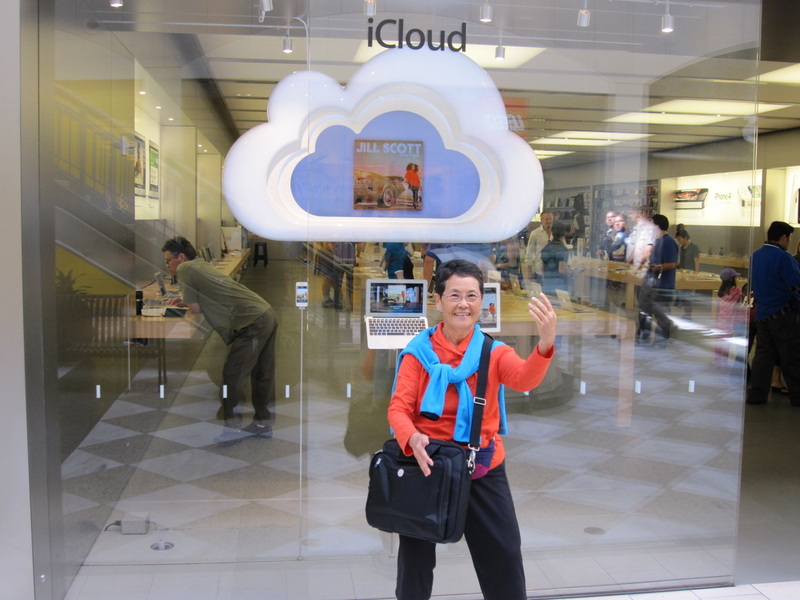 It seems as though all good things almost always come around full circle.